Reducing project execution time is one of the largest concerns of architects and professionals, above all when undertaking projects in shops, restaurants, hotels and offices, where time is a vital factor for the development and continuity of their clients’ activities. 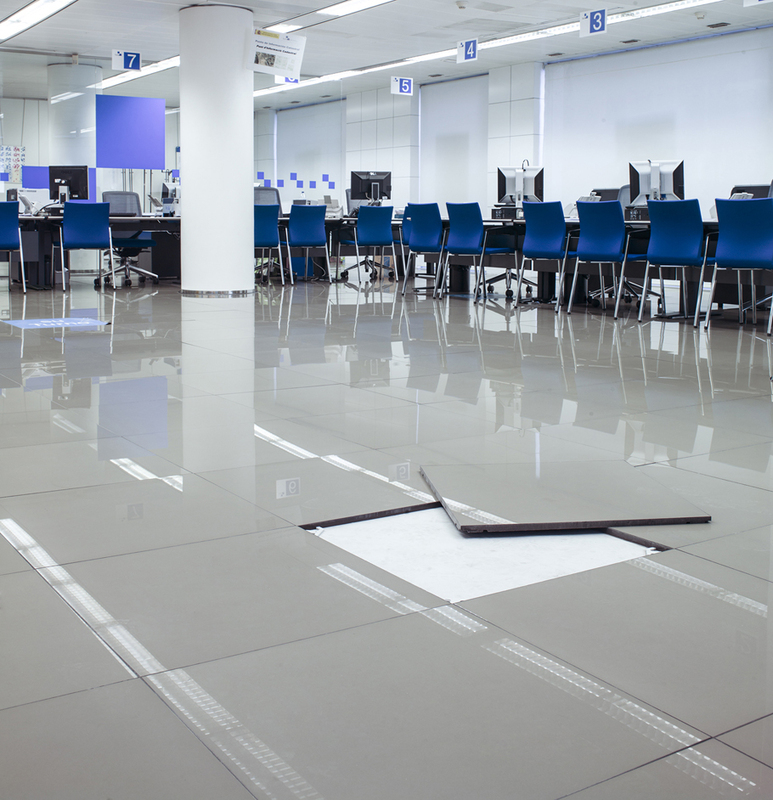 Satisfying the needs and demands of the professional sector, Butech has developed a solution which allows time and money to be saved in flooring premises with these characteristics: Cli-ker n®. 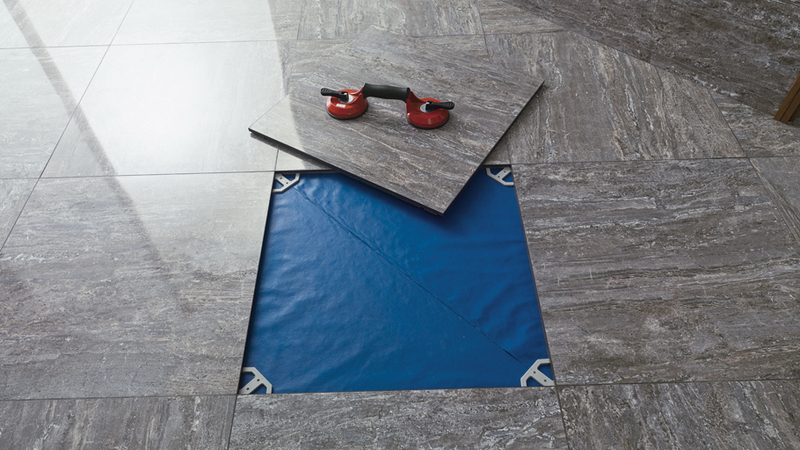 This is a system of fitting ceramic flooring dry, as it does not require adhesives or grouting material for its installation. 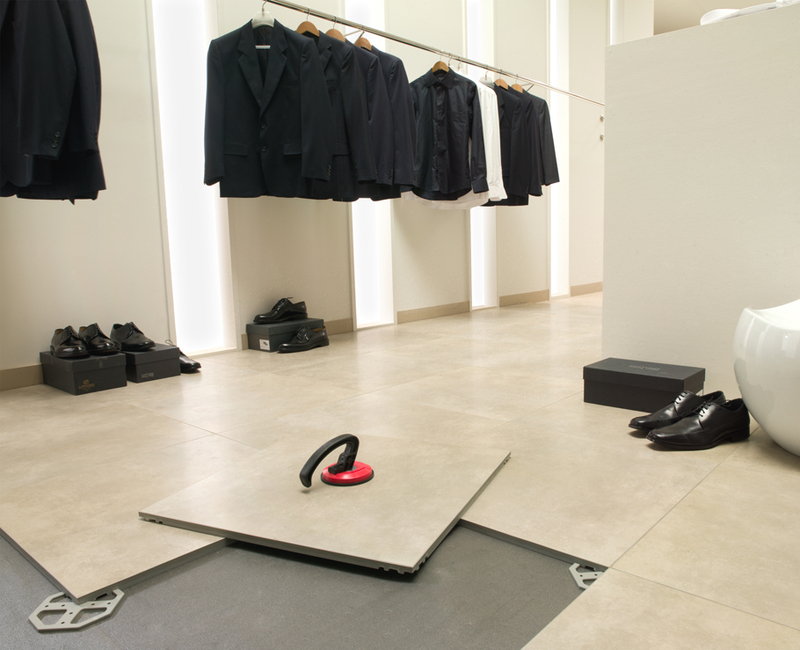 The installation process is as easy as fitting the pieces together with each other to achieve a perfect surface. The system is made up of ceramic floor tiles from the Ston-ker® collections by Porcelanosa and Venis, the technical porcelain by Urbatek, and also a plastic grid, which form the base and the four corresponding joins at the corners of the pieces. Thus, the tiles have a polyurethane base with slots in their corners which fit with the other pieces through a system of dovetail joints, allowing direct installation over the existing flooring. In this way, the Cli-ker n® system by Butech reduces flooring installation times while avoiding the generation of waste in restoration projects, but also accelerates the completion of the project as there is no need to wait for materials to dry before being able to walk over the flooring. Furthermore, this is a reversible process, as once the flooring is installed it can be removed, allowing access below or the replacement of pieces if necessary. Likewise, the system can be removed and reused in another project without any problems. Ultimately, with Cli-ker n®, the PORCELANOSA Group firm specialised in building solutions proposes a simple, quick installation system that can be used perfectly both in restoration projects and in new constructions. 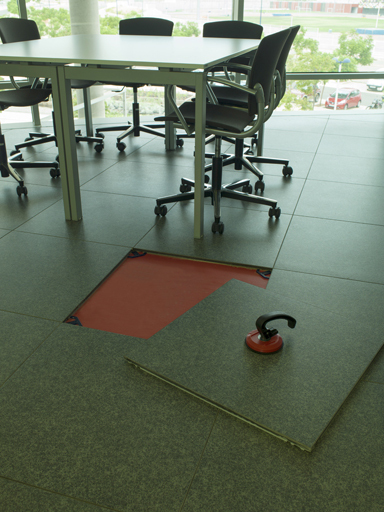 This option should be kept in mind for achieving durable flooring in the least possible amount of time.